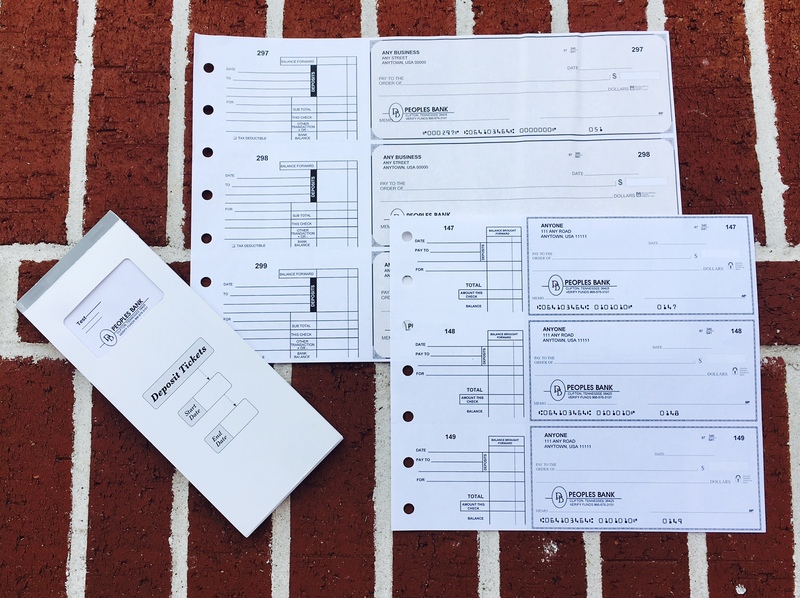 Leave me blank for Personal Checks Reorder Form. Contact Me Please have a Peoples Bank Personnel contact me for additional options, changes to check design, or addition questions. Clip Art, Watermarks and Custom Logos are available for an additional charge. 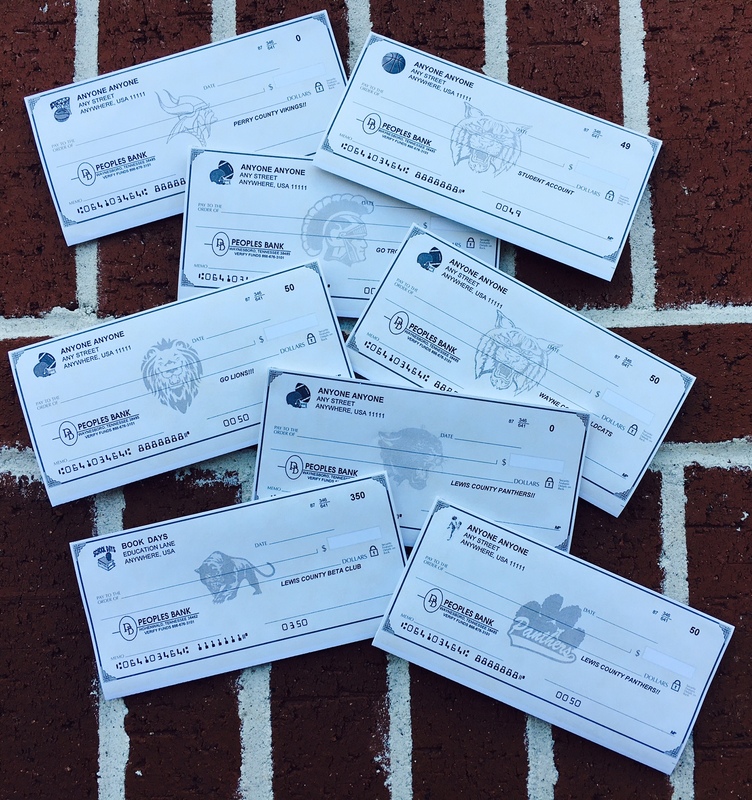 Check with us for your check needs! We will work with you to find the style that you need and want! Thank for your choosing Peoples Bank for your personal or business check stock needs! We have all the local school mascots! 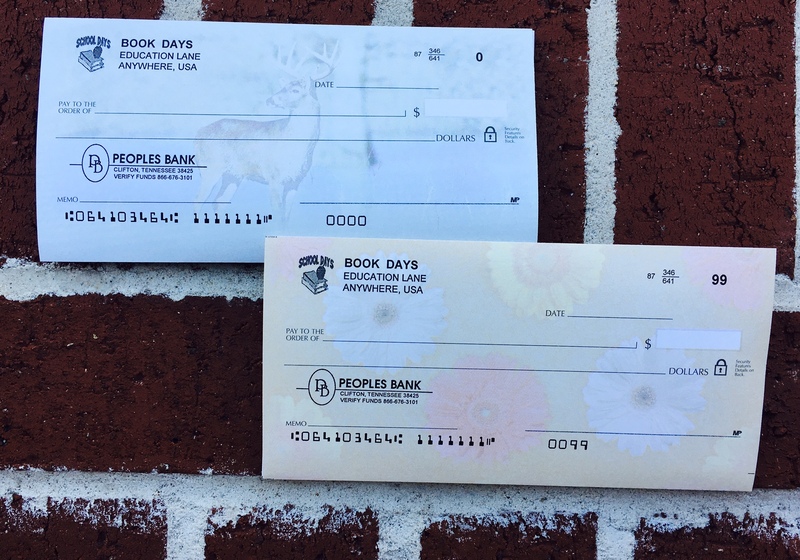 Show your school spirit with every check you write! Come in or call to ask about the different designs we have available. 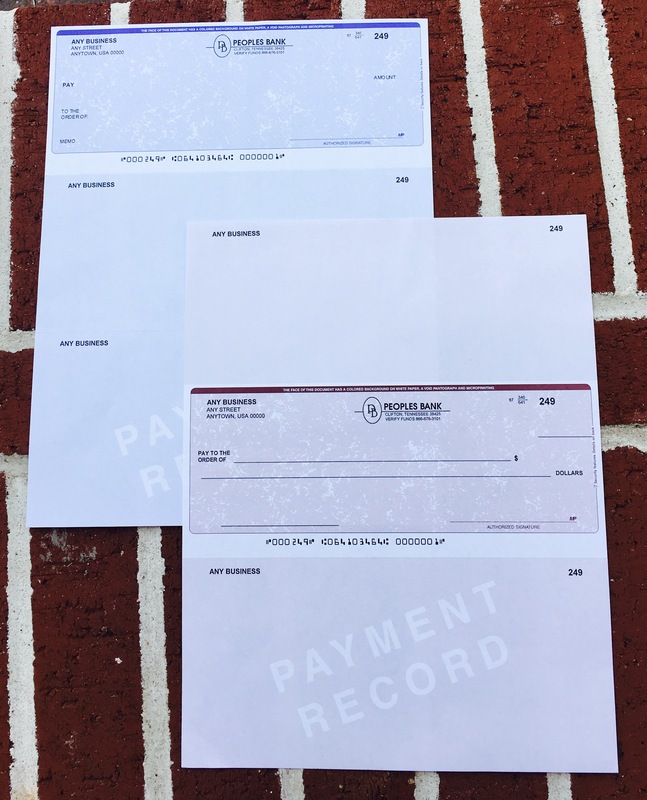 Our checks are printed in house and available to be picked up in the office or mailed within a week!